I’ve been yelling, “Ese es mi hijo” from the stands now for 16 years. It simply means, “That’s my boy,” and you hear it yelled out a lot here in Miami. For some reason, my hispanic friends think it’s funny when I yell it out. I learned my Spanish baseball vocabulary at a popular baseball park here in Dade County called “Tamiami.” Against the well-meaning advice of many kind and gentle baseball-parent friends, David started playing there when he was nine years old. We were warned the conditions there could be a little rough. And just to prove the point, our very first game was complete with a resounding victory — and a fist fight — between the coach’s wives. But it was at Tamiami my son, David, really learned the game of baseball. I can still hear some of the heavy Spanish accents from coaches as they taught the boys how to play. Baseball wasn’t just a game; it was a passion. We sent 9-year-old David on a month-long baseball trip from Miami to Texas that year under the care of another couple. We never worried once knowing he would be the most well treated and cared for kid on the entire trip. Hispanics take family very seriously and David was their adopted gringo son. Not only that, but by the time the trip was over, David knew all Celia Cruz’s songs by heart. Now David plays for the University of Miami. Not surprisingly, one of his teammates was on his Tamiami team. Several others play for different Division One teams while at least one other is already playing professional ball. Today, David was named one of sixty players to make the Golden Spikes Watch List. The trophy, which is awarded in June, is given to the athlete the panel considers the best amateur baseball player in the country. It’s a nice list to be on. So once again, here I am in the stands yelling, “Ese es mi hijo!” And I couldn’t be more proud. God is good! The University of Miami’s final regular baseball series was agains the University of North Carolina May 16 & 17, 2014. The series included a 16 inning first game of the double header. Miami won the series to take first place in the ACC. 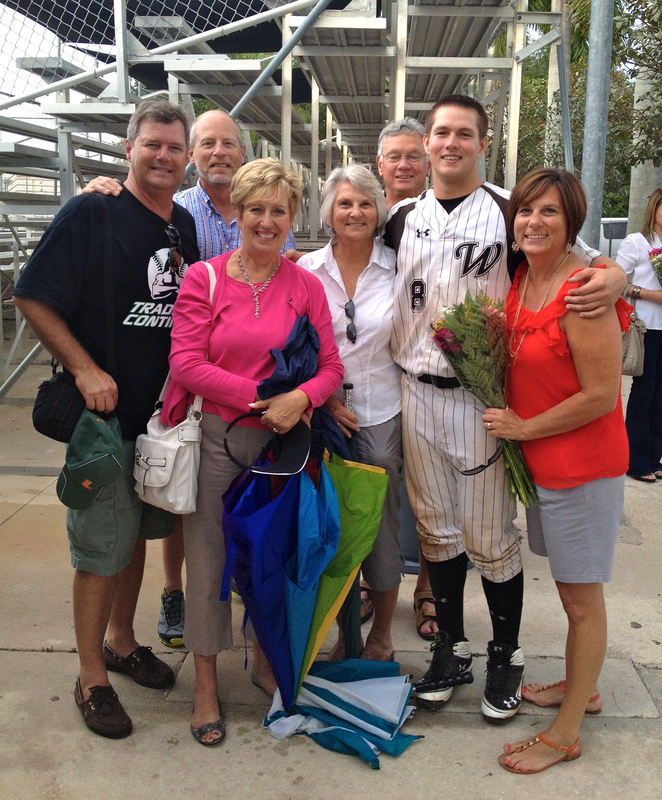 The series also featured my son, David, and his return after missing 32 games due to Venous Thoracic Outlet Syndrome. He was hospitalized on March 19th, had six hour surgery on March 24 (including having a rib removed), and returned to action on May 16th. A remarkable return just 53 days after major surgery. David said, “Having a little rib removed isn’t going to keep me out of the game.” Amazing! 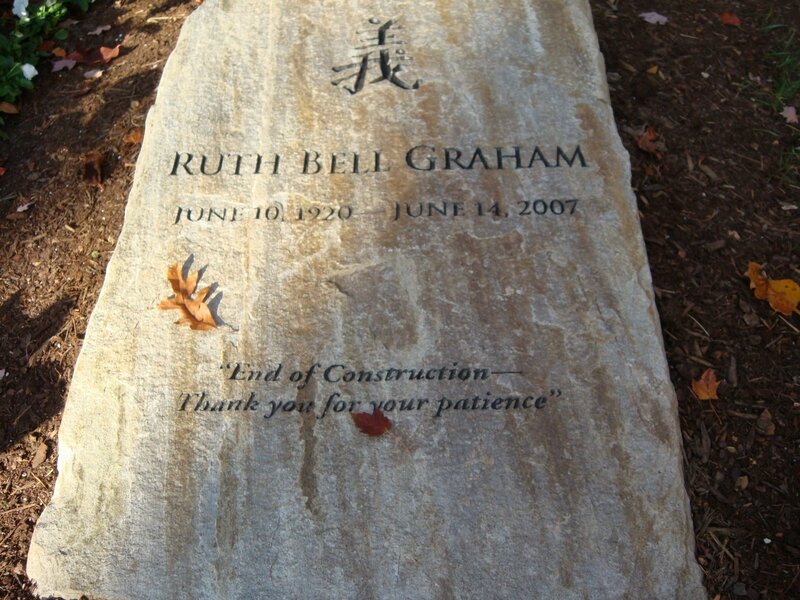 God is good, all the time. Another LOGOI Side Road Adventure during our teams Cuba visit in December 2013. 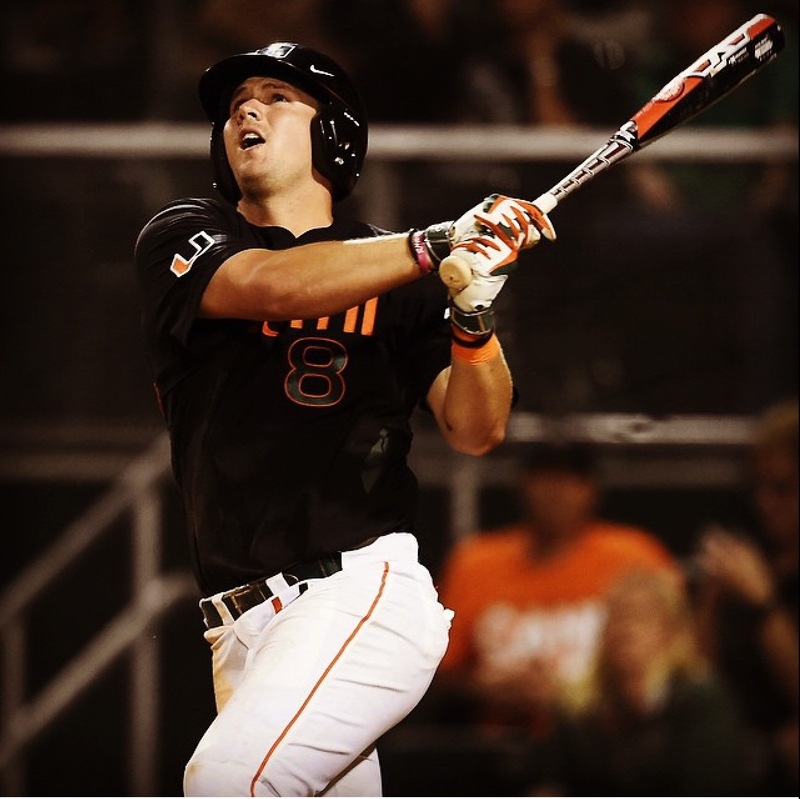 Thanks to a generous gift from Emil Castellanos in Miami, David Thompson (who plays third base for the University of Miami) brought in three large bags filled with baseball equipment. Much of the equipment was brand new thanks to Dicks Sporting Goods. This special visit included players from Cuba’s Sancti Spíritus national baseball team. The pastor of this church is a LOGOI/FLET Bible school graduate and one of LOGOI’s Five Dollar National Missionaries. What a wonderful Christmas present for us all. God is good! “Whether you think you can, or you think you can’t, you’re right,” so stated the famous American industrialist, Henry Ford. Of course, he also thought the Edsel was a good idea, so he wasn’t right about everything. 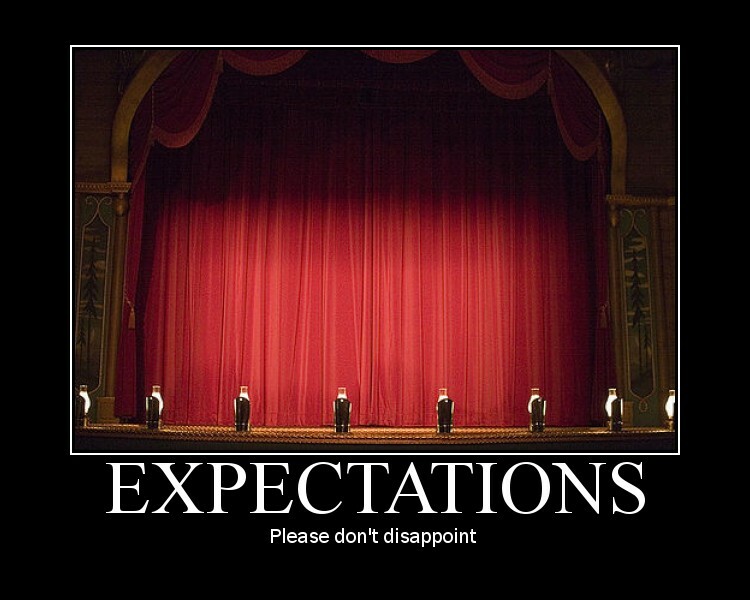 I’ve been thinking much about expectations these days. My youngest son, you see, is a student-athlete at the University of Miami. He enrolled this past June with many ascribed “high expectations.” And they weren’t talking about his GPA. The path our youngest son is taking, however, is a bit more public. If one cares to, his success or failure on the ball field can be followed and pontificated upon from week to week. And I must say, I’m rather intrigued by the vast number of self-proclaimed “experts” who really seem to enjoy pontificating. “Expectations have long been a topic of psychological research,” says Jonah Lehrer in an article in the Boston Globe, “…but in recent years, scientists have been intensively studying how expectations shape our direct experience of the world, what we taste, feel, and hear.” The article goes on to explain, for example, that a generic drug–which has the exact same ingredients as the brand name–is often proven to be less effective merely because it costs less. In other words, the expectation is that the less expensive drug can’t possibly be as effective as the more expensive one. I thought about this after a particular game where David blasted a towering home run in the top of the eighth inning to tie the game. It was a clutch hit that propelled the team to eventually win in eleven innings. After the game, David confidently said, “I knew I was going to hit it out before I came up to bat.” I mustered a deep and powerful philosophical response to my son’s heroics by saying, “Wow! Calvin was right, life is a lot easier without expectations. But without them, I wonder if we would ever have heard of Neal Armstrong, Thomas Edison, The Wright Brothers, Babe Ruth or LeBron James? We are an impatient society and don’t have much time for the close relatives of expectations such as dedication, talent, and tenacity. We want our expectations met and we want them met right now! But life doesn’t always cooperate. February 1st is “National Signing Day.” It is the first day in which a high school senior can sign a binding Letter of Intent to play football in college. After months and sometimes years of recruiting, the hype and drama culminate on this special day as millions of deeply devoted college football fans tune in to learn which athletes have officially committed to their favorite school. To be honest, I haven’t paid a whole lot of attention to National Signing Day in years past. But I certainly have this year. You see, my youngest son is part of the hype and drama. CBS Sports (MaxPreps) lists him as one of the top pro-style quarterbacks in the nation. He is also projected as a high draft pick in the Major League Baseball draft this June. But first, on February 1st, he will excitedly sign his letter of intent to play football and baseball at what we affectionately call, “The U.” This is very good news for me. Half my wardrobe has the “U” on it. To both my wife and son’s chagrin, however, it appears I have gotten caught up in all the hype. There are at least a dozen or so fan-based websites devoted to University of Miami athletics and dozens more dealing with the MLB draft. Few articles or discussion boards where my son is mentioned go by without coming to my attention. And while the vast majority of articles and comments are very positive, a tiny few are negative. And what is a father to do when uninformed nincompoops make disparaging remarks about his son? Well, in the way of a confession, I’ll admit that I have cleverly disguised my name and relationship to my son and have responded in anonymity to a few of the comments made by knuckle-headed bloggers and fans. Using my highly developed skills in sarcasm and derision, I not only put those misanthropes in their places, but questioned their very intelligence for even thinking something negative about my son. To my great surprise, however, they were both able to instantly determine each one of my blog-post replies despite my cleverly disguised name. Then, after reading my acrid comments, they would turn and look at me with an eye-narrowing “what is wrong with you?” glare. “What?” I answered, trying in vain to look innocent. It’s a beautiful thing to see your child grow up with steely fortitude ready to face a hostile world. It’s that much more amazing to realize they are willing to step into the brutal world of college football where one can turn from hero to goat in an instant. I have watched in admiration as Jacory Harris, the University of Miami quarterback these past years, has skillfully and graciously managed such a hostile environment. “It comes with the territory,” is the common view. Jenn and I took a moment to reflect on this past year to see if we had anything exciting to report. 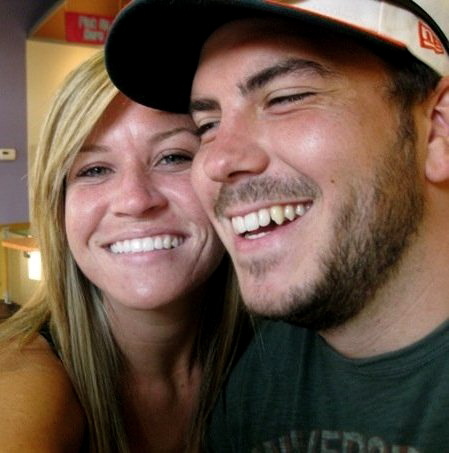 After a few minutes we realized 2009 was far more eventful than we had initially thought…so we took a nap. With that said, the ink was barely dry on his diploma when he was off to Macon, Georgia to begin his “Development Intern” job at First Presbyterian Day School. My brother, Gregg, just so happens to be the Head Master. Gregg was looking for someone with creative abilities to produce promotional videos, webcast school games and special events, speak at chapels, and generate even more excitement, energy, and school spirit for a great high school. That job description had “Matt” written all over it. He is also a football coach once again and has even added “swim coach” to his vast repertoire of things he can do. But far more exciting than any of these things is… he is getting quite serious with a young lady named Laura, who is as beautiful on the outside as she is on the inside. Jenn and I are way too young for any of this…we need another nap. Abby, (19) is a sophomore at Samford University in Birmingham where she is studying the cognitive and corporal effects of college on two hours of sleep per night. She has always been a blur of activity… now she must be seeing everything blurry, too. She somehow manages to keep up with her studies in between her Facebooking and nimble fingered texting. And while this sounds a bit strange, it does make my day to get a text from Abby that says, “Luv u Daddy.” Abby continues to study Exercise Science. She is still very interested in helping people who need prosthetics, but is developing an interest in working with children who have autism as well. She’s in a tough major requiring lots of long hours of study… and I have no doubt, a little extra sleep would help. She loves her Zeta Tau Alpha sorority and has made some great friends. She now has a “big” and a “little” which I’m told means something important. And because she is always awake, she is also the sorority’s intramural chairman planning all their sports teams and events. Needless to say, this beautiful and energetic girl with a gorgeous smile has a long list of would-be suitors. I have calmly responded by developing a deep and intimidating scowl I’m hoping young men sense and fear from hundreds of miles away. Abby seems to have developed some sort of immunity to my scowl, however. She knows she can soothe the savage beast with a simple gaze and smile in my direction. It’s not fair. I need a nap. Most would agree that David (16) had a pretty good year. 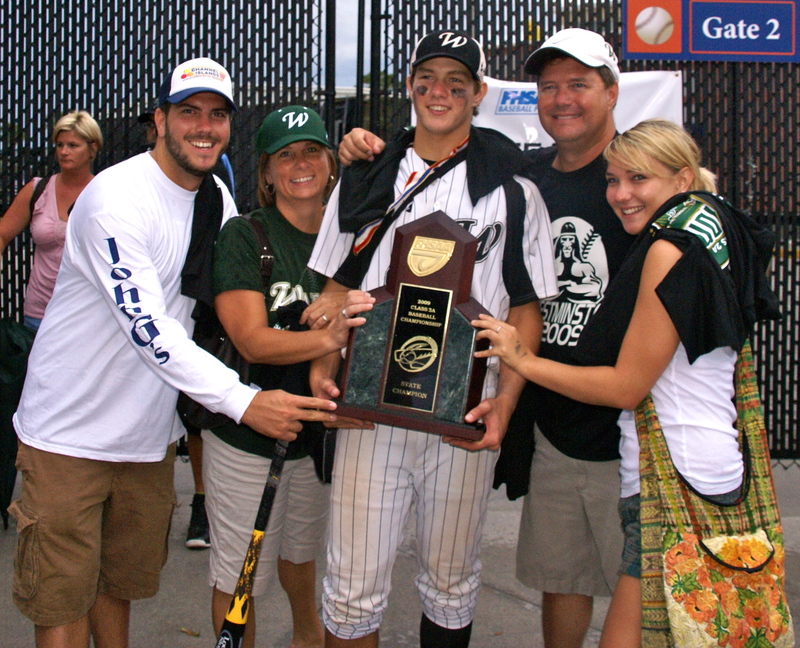 He started 2009 helping lead his team to their first State Baseball Championship since 1998. David was the only freshman on the team, but led Westminster Christian in home runs, batting average, and other such nice things. The great season helped David become a First Team All-State Team selection, a First Team All-Miami Dade selection, and to top things off, a MaxPreps All-American (the top 30 baseball freshman in the country). So, yes, I suppose he had a pretty good year. When the 2009 football season rolled around, David, now a sophomore, had the opportunity to put on the pads and help lead his team back to the playoffs for the first time in six years (Matt’s junior year). As a second year starter, the preseason report by the Miami Herald listed David as one of the top QB’s in Miami. 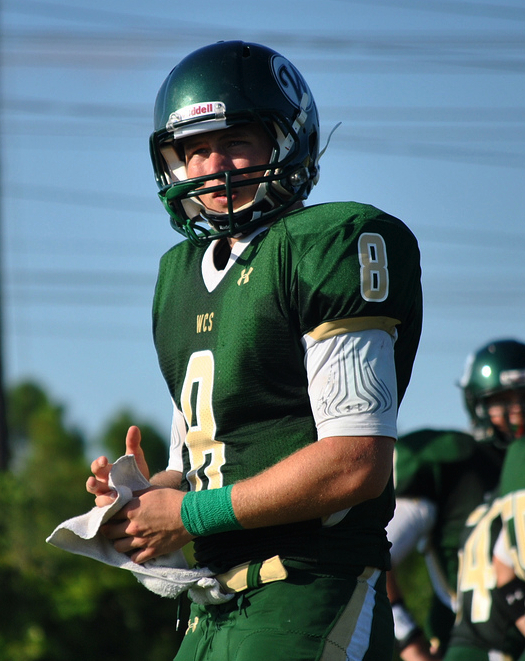 The season concluded with David making the top 10 in several offensive categories for the entire state resulting in him being described as, “the top rated quarterback in Florida for the class of 2012.” Hmmmmm. Matt is quick to remind David, however, that his (Matt’s) 80 yard touchdown pass is still the family record. Even so, you can see some highlights here: David Football Highlights. After attending all his games, Jenn and I need and deserve a long nap. 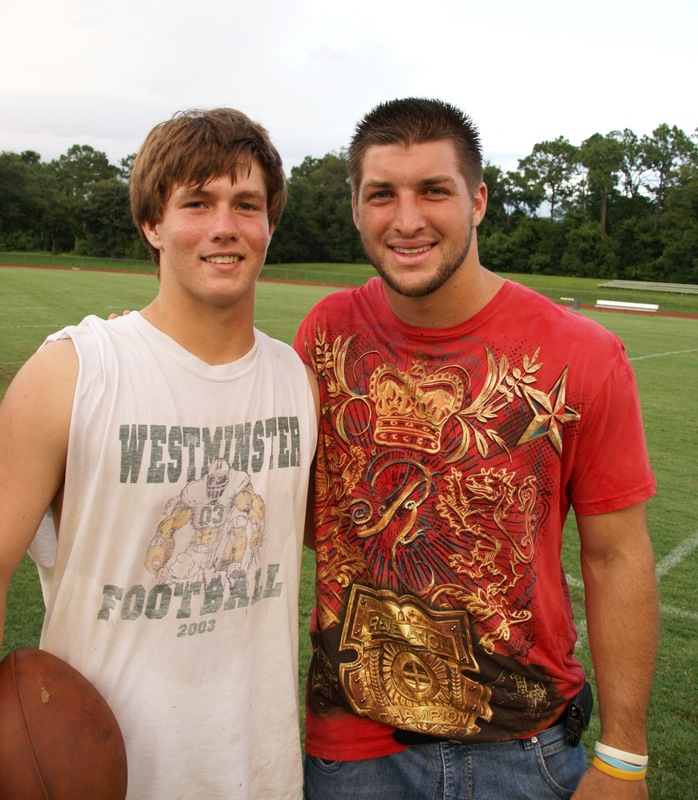 Meeting Tim Tebow was pretty cool, too. And in case you were wondering, yes, the college letters have begun. Of course, Jenn thinks David being inducted into the National Honor Society was even more impressive than his athletic skills. I know…Jenn is so funny. Speaking of Jenn, she had a pretty good year, too. She started the new school year at Westminster Christian as the new and very cute Elementary School Principal. Yes, several major changes took place at the Alma Mater of Ed, Matt, and Abby… but none more exciting than Jenn’s new role. As for Mr. Ed, well, I am working on a very exciting project at LOGOI called our “Virtual Pastor’s Office.” It’s a brand new way to do missions and we have high hopes for how it can help indigenous pastors and leaders, missionaries, churches, as well as partners in ministry right here in the States. You can get a preview at www.logoibeta.org. It’s also been great to see three of the singles from my “Beautiful Feet” CD make it to the top 20 of Christian Radio & Retail’s Global Charts. Over 500 stations are playing my songs and soon you’ll even be able to include some of my songs on places like “Pandora Radio” on the internet. My single, “Love Me Anyway” climbed all the way to #2 on the inspirational chart and held a top 20 spot for over 25 weeks. A fourth single is scheduled to be released in January. You can check my website for more details: www.edthompsonlive.com. And come on, invite me to perform at your church already. Finally, I thought you’d enjoy a little picture of our home decorations this year. We’ve thought about doing this for quite some time as our neighbors get into the Christmas spirit with great gusto. They found a few “empty” spots in their yard this year which they’ve been able to fill with blowup Santa’s, snowmen, ferris wheels, and even a manger scene if you can see through all the penguins. So, we put up our Christmas tree, hung a wreath, and wrote, “Ditto” in lights on our roof with an arrow pointing at the neighbors. 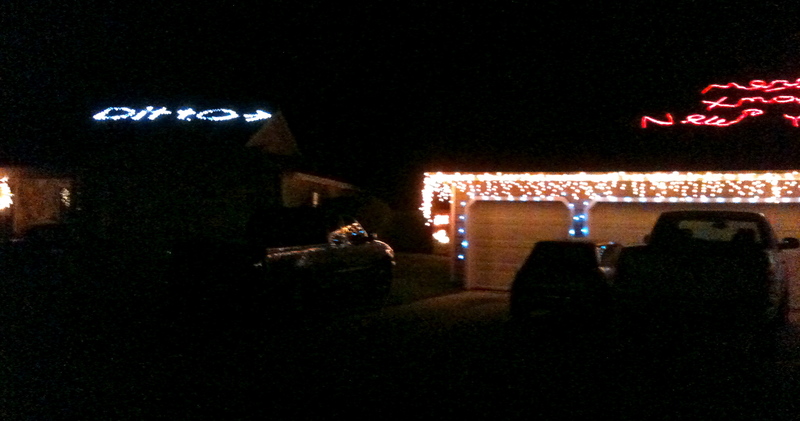 A steady stream of cars driving by at night seem to be enjoying our Christmas sentiments. We hope you do, too.